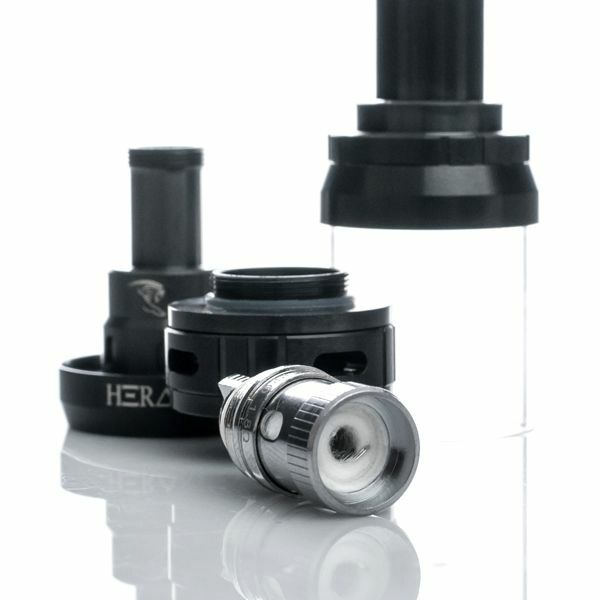 The Herakles Pro Atomizer Coils are genuine replacement atomizers for the Herakles Pro Sub Ohm Tank from Sense Tech but are also compatible with the Herakles Plus coil structure for ultimate versatility. These newly designed coils offer some of the highest quality of flavor on the market due to it's unique wicking system. This wicking system utilizes a reverse sandwich design that combines the benefits of an organic Japanese cotton wick with food grade porous ceramic to create a truly unmatched quality of flavor. Not only do these atomizers feature a new wick design they also come equipped with a 1.8 ohm dual parallel vertical coil structure constructed from kanthal that allows you to vape from 20-50W. 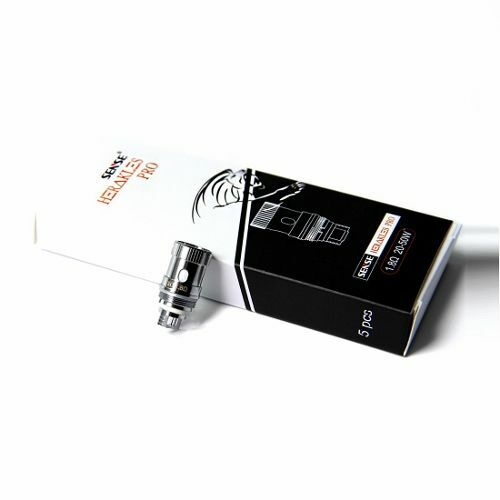 Although it is not a sub ohm atomizer this coil design allows for higher wattage vaping, ultimately resulting in increased vapor production.